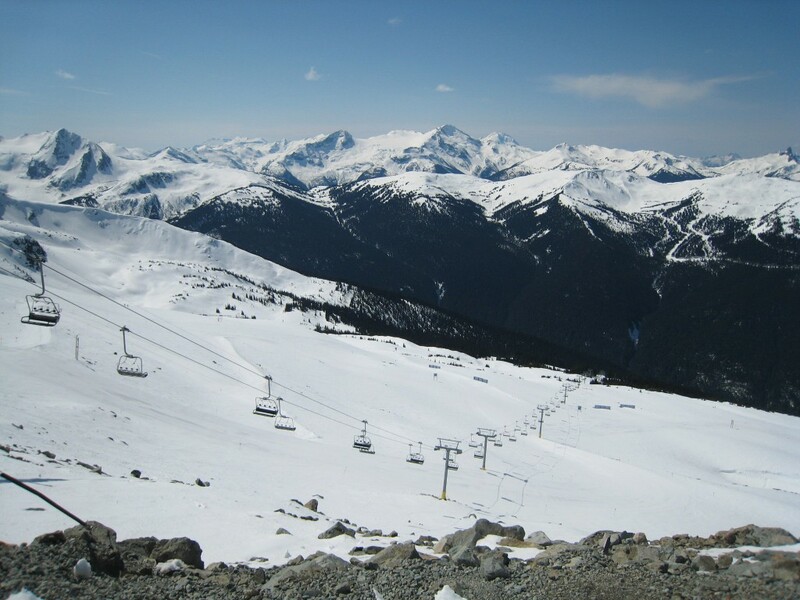 Whistler Blackcomb is the largest ski resort in North America with the 2nd largest vertical drop. Its size and vertical alone propel it into the top 5 of just about any list of ski resorts in North America. Whistler/Blackcomb is one of those places that we know is great given good conditions, but we were not able to hit good conditions in 3 tries. We’ve actually been there 4 times, but the first time was in the summer when we skied the glacier only, so that doesn’t factor into this review. The second time was in early March when it should have been the best time of the year to go, but after about 1-hour of skiing in heavy snow and powder, it turned to rain and stayed that way for 3 days. The third time was in April and the weather was cooperative, but it had iced up after getting cold after a warm spell so the conditions varied between slush and hard pack most of the time. Still we got a pretty good feel for the place from that 3rd trip. The fourth (and likely final) time was over the Christmas/New Year holiday in late December 2018. The first day it was lightly snowing top to bottom with good conditions, but that night it turned to rain all the way up to 5,200′ elevation. That is 3,000′ above the base, which left only the top 2,000 feet with good conditions in the days following that event. The day of the rain we got soaked on the first run and gave up because all the lifts above the rain were closed and it wasn’t worth skiing in the rain. 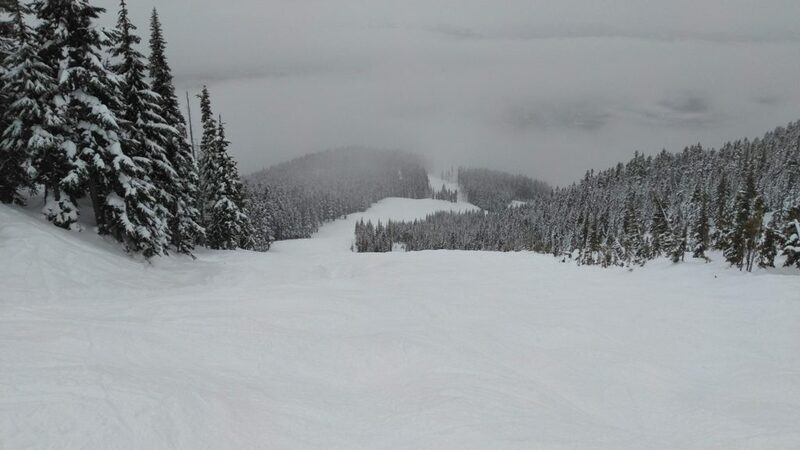 Due to rain and ice, we never really got to ski off-piste much at Whistler/Blackcomb. They do groom a lot of terrain at about 1,300 acres a night, but if conditions are typical, the 10’s of thousands of skiers make for pretty crowded runs. 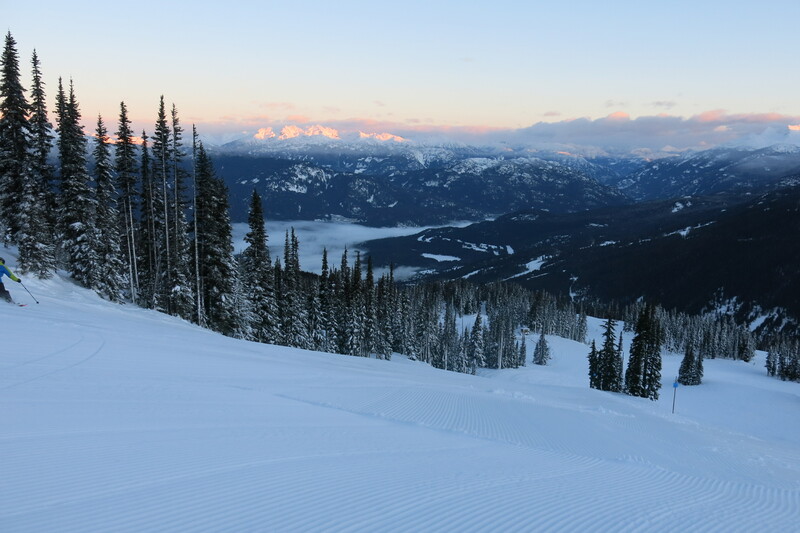 Because of the variable conditions in the lower 3,000 feet of elevation, all of the off-piste is really in the upper 2,000 feet at Harmony, Symphony, Whistler Peak, 7th Heaven, Glacier, and if open, the Blackcomb T-bars. That means that this resort of over 8,000 acres really doesn’t ski as large as the stats suggest on most days. 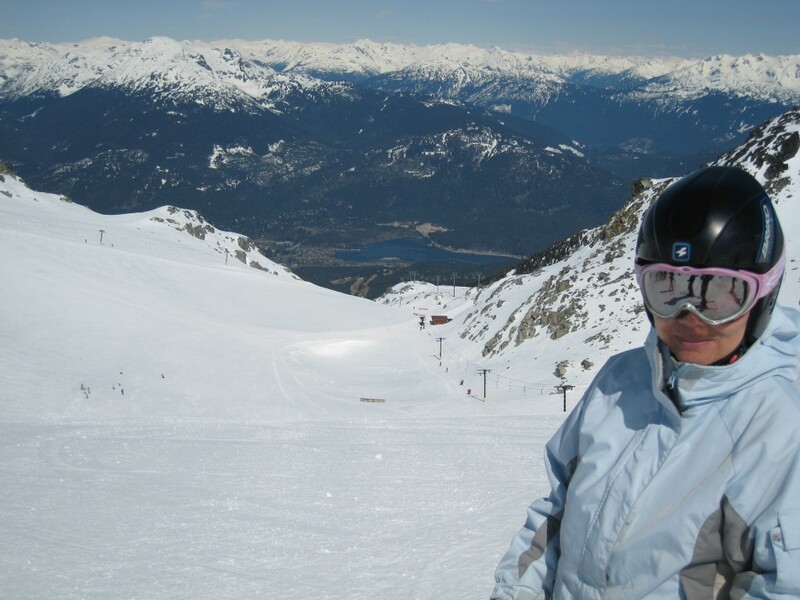 When skiing Whistler/Blackcomb, the first decision you will need to make is which mountain to ski. Before the Peak to Peak lift, it was mostly impractical to change mountains mid-day. Now it is much easier and we enjoyed taking the Peak to Peak lift, but we still preferred to mostly stick to one mountain on any particular day. On either mountain we tend to ski mostly the top half of the mountain where the snow is better, but taking a really long run from top to bottom is one of the unique experiences that these mountains offer and is probably the most memorable thing we took home with us. 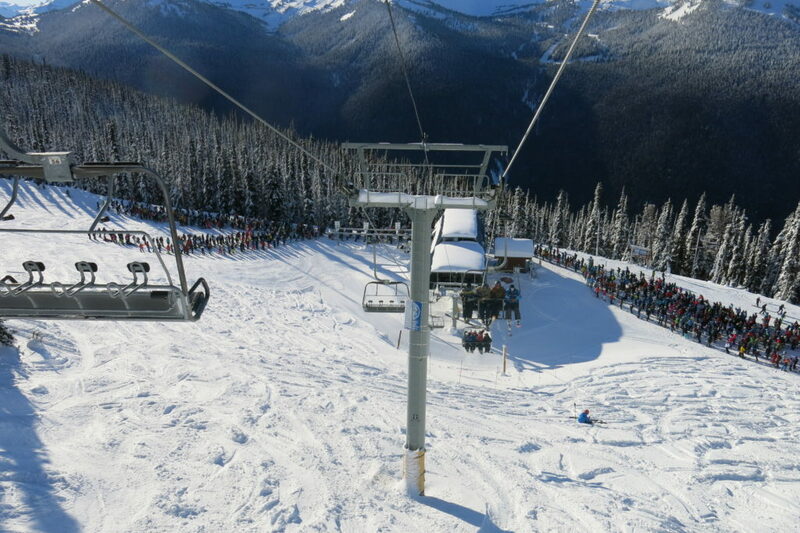 Our favorite side is Blackcomb. 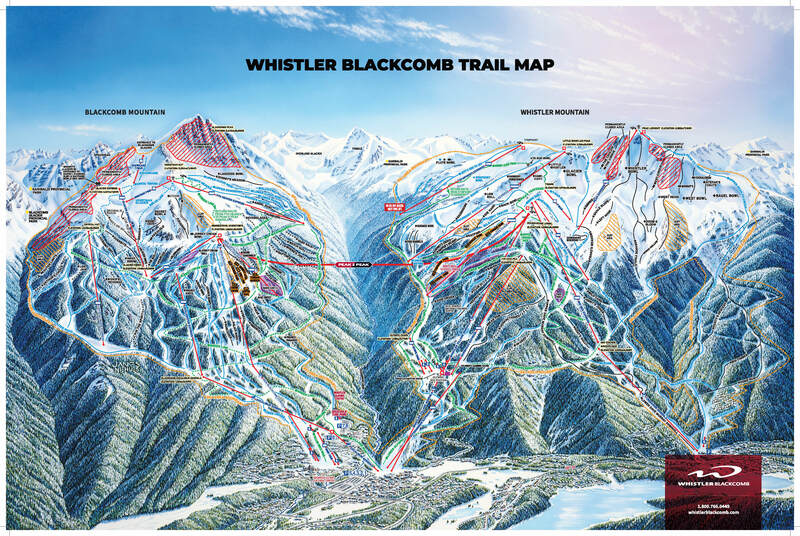 Whistler would be an awesome mountain all on it’s own, but with Blackcomb right there it got less attention from us. Blackcomb has the glaciers at the top, 7th Heaven, and the most consistent groomers. At Blackcomb, our favorite chair has to be the Crystal Ridge Express which has a great variety of twisty, steeper groomed runs. 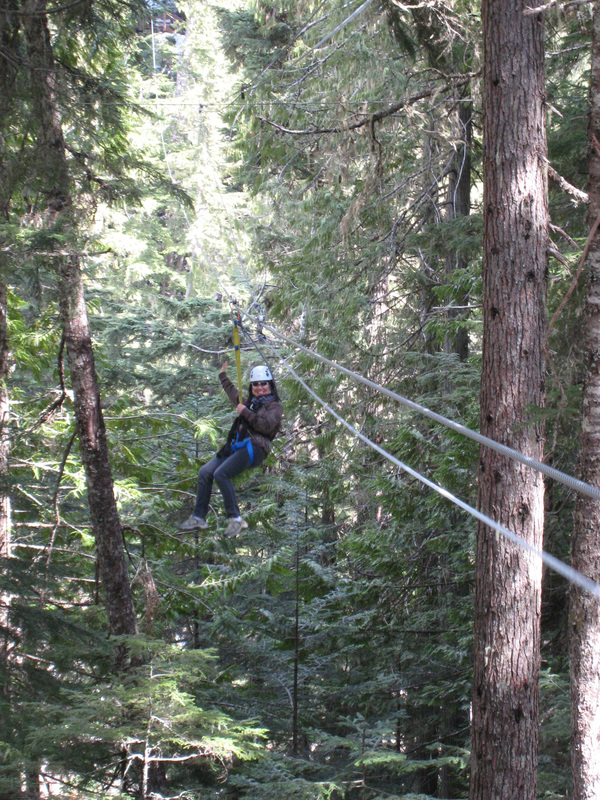 There are some unique experiences available at Whistler/Blackcomb that you should try if you get the chance. The First Tracks Breakfast is a cheap way to get a few uncrowded runs before the crowds make it up on the mountain. It’s a pretty decent breakfast for the number of people they serve (650 each day). Over the holidays when we tried it we got in line at 6:45 AM when it was completely dark. We got to see sunrise on our first run at 8AM and the whole thing felt pretty special. Another is the Peak to Creek run from Whistler Peak down to the lowest point at the resort at Creekside. It’s a long, windy, rolling upper intermediate run that will likely be one of the longest steeper runs you’ve ever skied with almost 5,000′ of vertical. 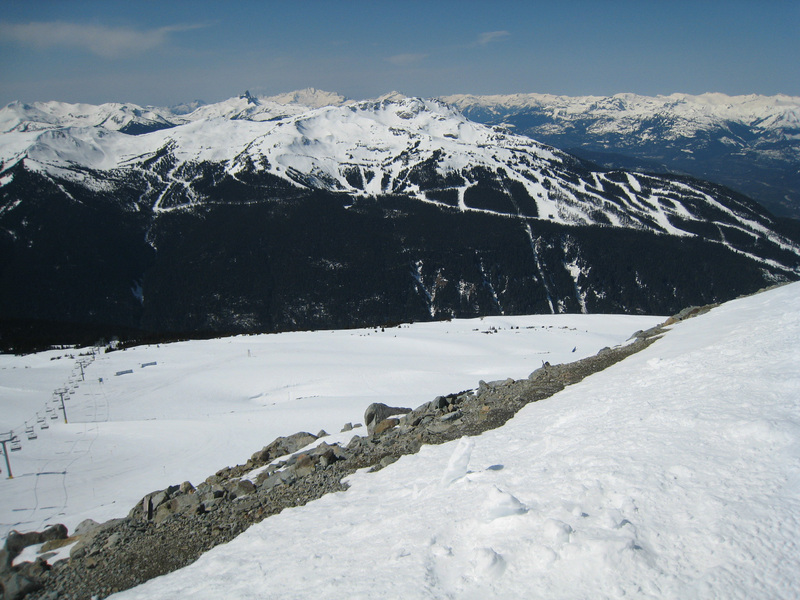 Lastly, the Blackcomb glacier is a hidden zone that most people skiing at the resort won’t ever see. It’s accessed with a short hike at the top of the Showcase T-bar. The terrain is pretty tame unless you access it via Spanky’s Ladder, which is a large double-black zone. Beware that it’s a LONG outrun out of there to get back to the lifts, but it’s well worth at least one run just for the scenery. 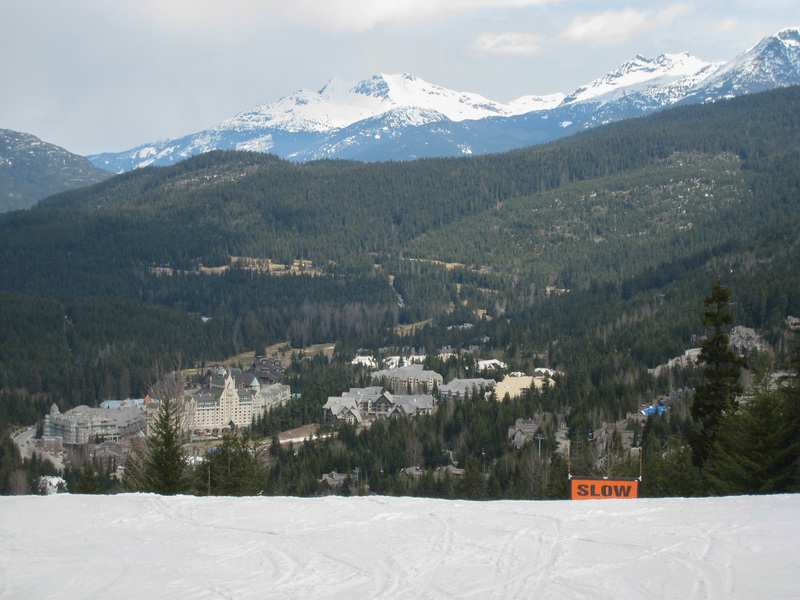 One of the major attractions at the resort is the Whistler Village. This is definitely the premier ski resort village in North America with endless shops, restaurants, and lodging. In the evenings you will see thousands of people just walking around peering in shops and maybe trying to find a place to eat that doesn’t have a 2-hour wait. There are actually 2 more villages at the resort: Creekside and Upper (Blackcomb) Village. These are much more typical resort villages with a few shops and restaurants and much less foot traffic. It’s Whistler Village that is the main draw and it’s a destination in itself that many non-skiing tourists drive up from Vancouver for. With over 8,000 acres, there is so much variety it should keep anyone happy exploring for days. The lift system is super efficient and modern. The on-mountain lodges are plentiful and the restaurants were decent. 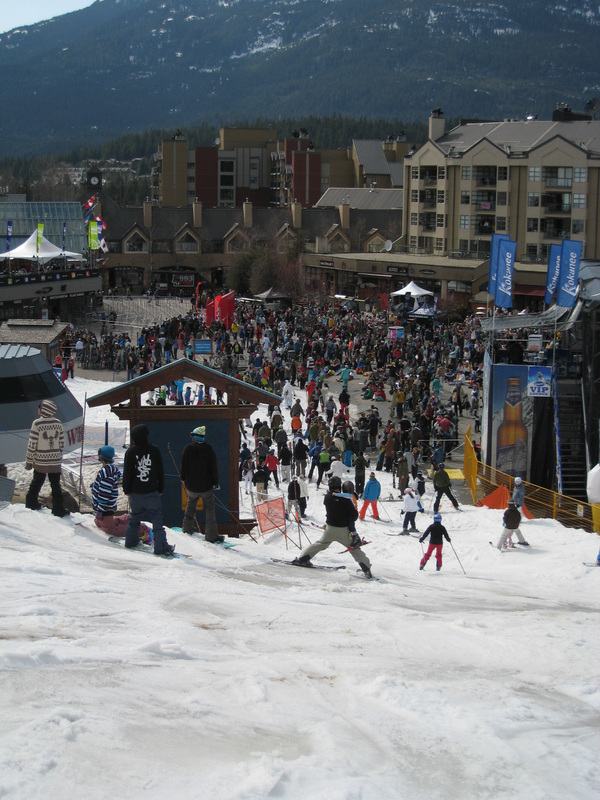 One of the biggest draws for Whistler/Blackcomb is the village, and we loved it. It is modeled after the ski villages you might find in Europe, with a large walking-only section with endless shops and restaurants. 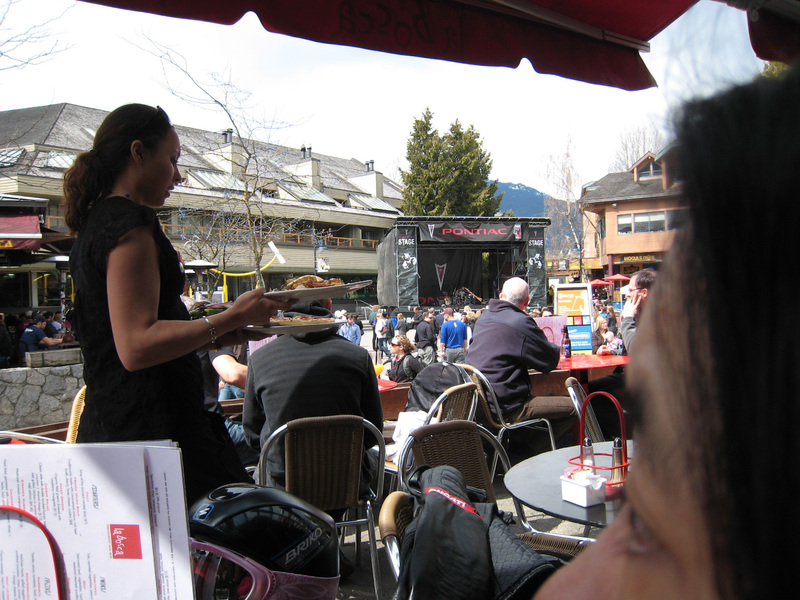 There is always a lot going on in the village and it’s a great place to hang out after skiing. Coastal Pacific Northwest weather is in full-effect with rain often making the bottom 3,000 ft. icy. Due to the variable weather and necessity to reserve well in advance, it’s a risky bet for a ski vacation. Luck is needed. Lodging in the Village is affected by the hordes of partiers in the village at night shouting and singing. If you’d rather sleep, bring earplugs. The peak-to-peak lift is a super memorable experience that everyone skiing there should have. The lift is an engineering marvel that has to be experienced to be believed. For the vast majority of skiers this is a fantastic resort that shouldn’t be missed. It’s by far the best resort in the Pacific Northwest so if you live anywhere near Seattle or Vancouver this will be your best bet. 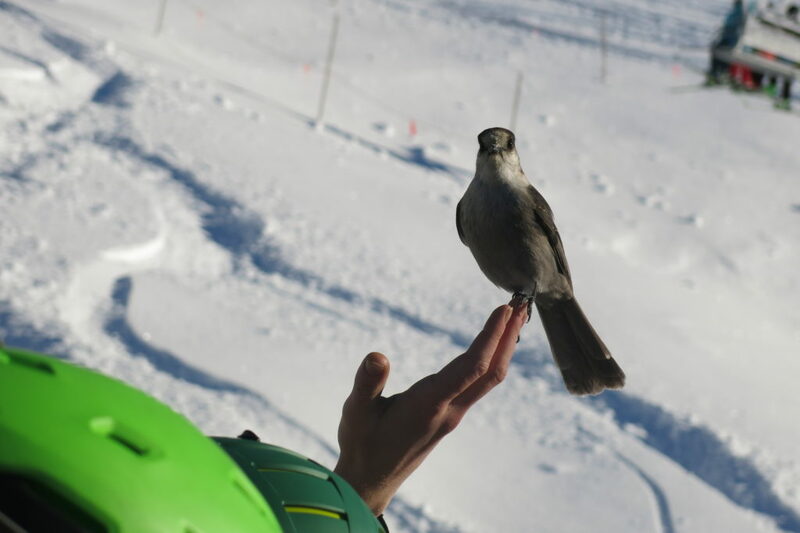 It attracts huge numbers of foreign travellers from all over the world because it has everything that people looking for a ski destination are looking for from huge vertical to lots of snow to a vibrant apres ski scene. If you are lucky and avoid the rain and ice you will likely agree with the skier surveys that place this as the #1 resort in North America. We haven’t had good luck and aren’t willing to try a 5th time, but don’t let that stop you!